By definition, a tile is a manufactured piece of hard-wearing material such as ceramic, stone, metal, or even glass, generally used for covering roofs, floors, walls, showers, or other objects such as table tops. Alternatively, tile can sometimes refer to similar units made from lightweight materials such as perlite, wood, and mineral wool, typically used for wall and ceiling applications. 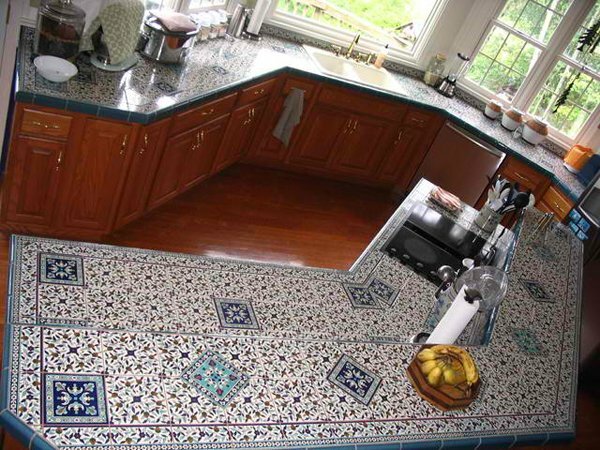 In another sense, a tile is a construction tile or similar object, such as rectangular counters used in playing games. The word is derived from the French word tuile, which is, in turn, from the Latin word tegula, meaning a roof tile composed of fired clay. 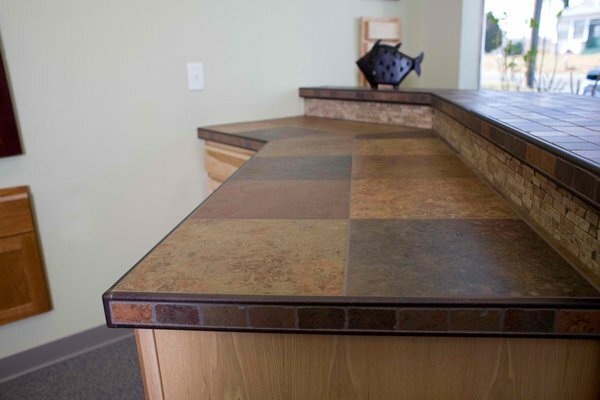 With that in mind, take a look at the pictures we have below about the tile kitchen countertops we have in stored for you! Something’s fishy – and I mean that in the best way possible. 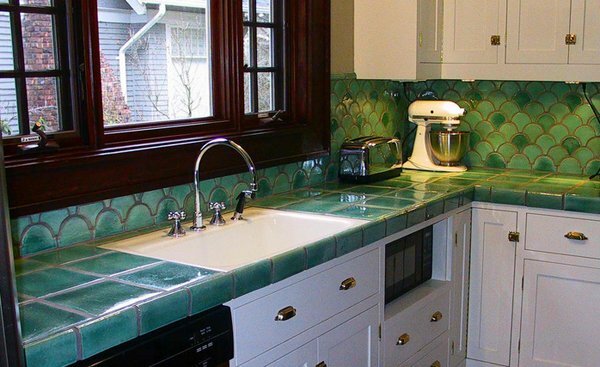 Scalloped tiles in green look remarkably like a sea creature. When deciding on the number of sink bowls for your kitchen, weigh factors such as the number of cooks in your kitchen and how you prep for and clean up after meals. If you are a solo cook and primarily use your dishwasher for clean-up, then a single-bowl sink is probably your best bet. Florida Tile is one of the best dealers and manufacturers of tiles- whether ceramic or otherwise. The rectangular tiles used in this island is pretty simple but really complementary to the color of the cabinets in this kitchen. 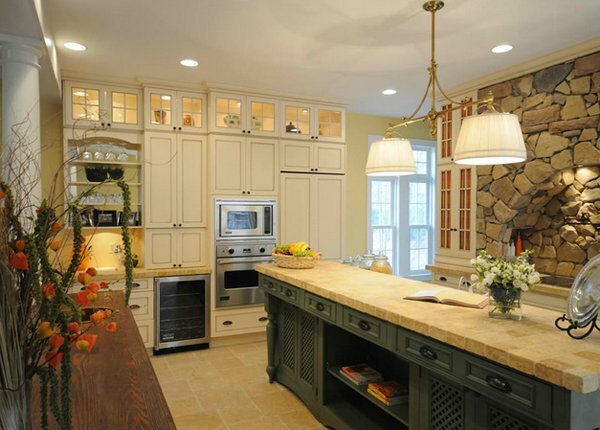 HGTV Remodels is one of the best activities HGTV have in their site. Check them out for more of their projects! 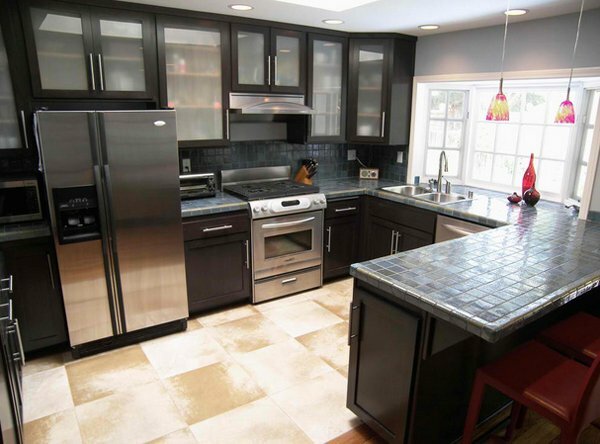 Grey-colored tiles are interesting because they go well with any color of cabinets, drawers or flooring like black and white. Daily clean-up with warm water and mild soap will do the job. 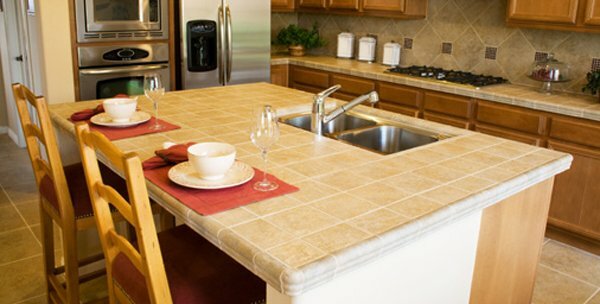 Exercise care with the grout, which can be damaged by harsh or acidic cleansers. As for long-term maintenance, glazed ceramic tiles won’t need to be sealed, but the grout may need resealing, depending on the type used. 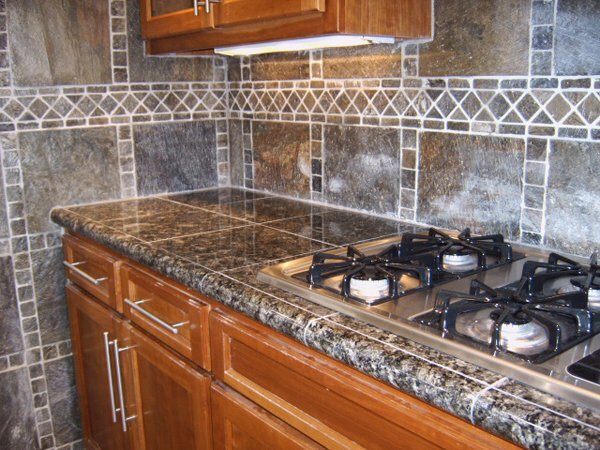 Stone slabs and their grout require annual resealing. 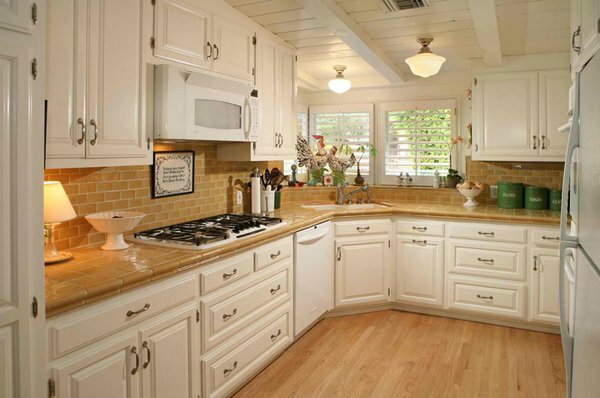 White tiles are the common ones we use at home – why not? We know when they’re clean (partly) and when they’re not. Putting dead space to work. 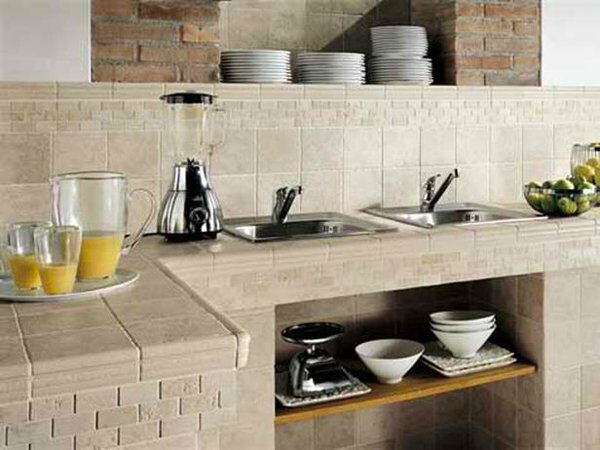 A corner sink can occupy an odd niche that otherwise would have languished. If you have the square footage, you might consider adding a second sink elsewhere in the kitchen to boost the functionality of the work zone. 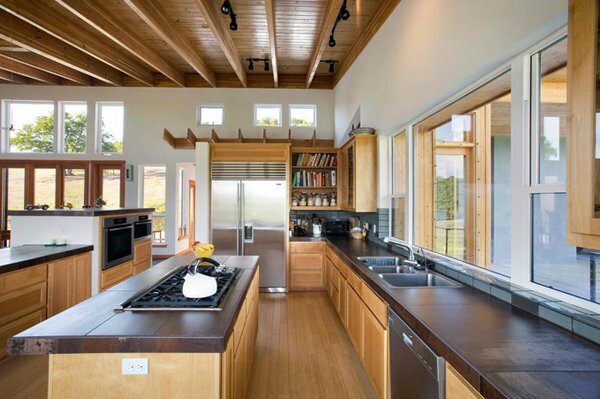 This kitchen may seem smaller than the kitchen designs we see online or in magazines, but the tiles in this island sure plays out well for the space. 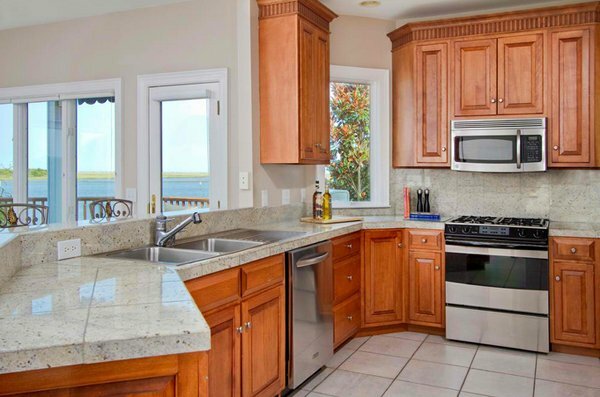 Who says you only put tiles on the islands or countertops? Why not on the entire wall? This is one example where a tiled wall served as an accent wall. The boveda ceilings continue in the kitchen, and the light fixture was repurposed from a wire basket. The counter stools were locally made and a roadside find. 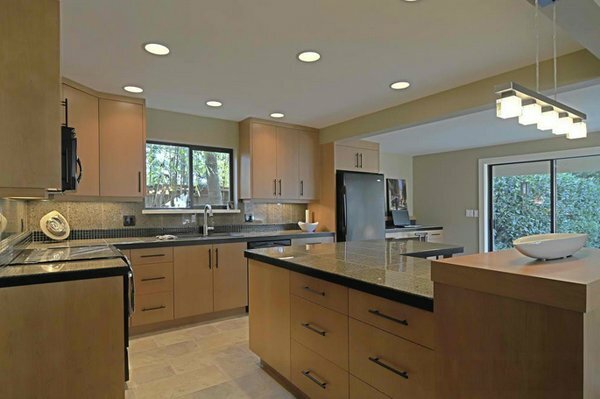 Granite tile countertops that complement well with the walls, ceiling, flooring and the wood works done in this kitchen – I think it’s fascinating. 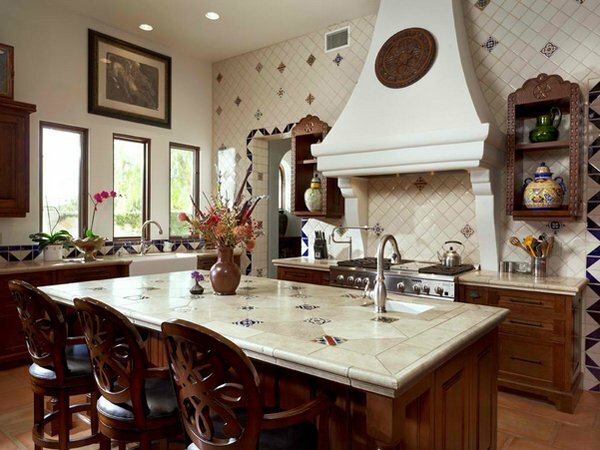 Spectacular hand painted countertop tiles used to change a simple kitchen design to a unique one. The pendant lights and the flooring may not be too pretty, but the space is just awesome! 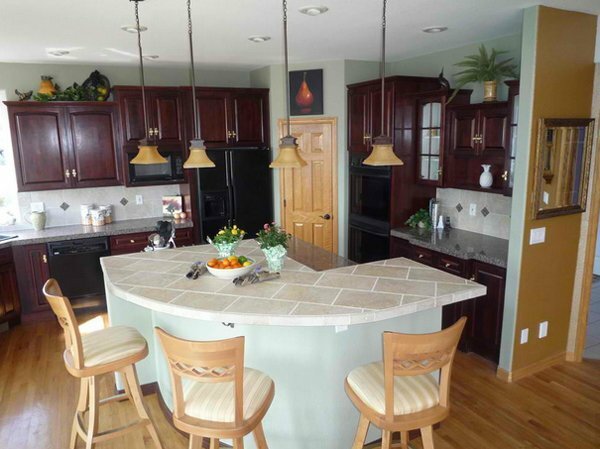 The colors of the cabinets, countertops and the island is beautiful. 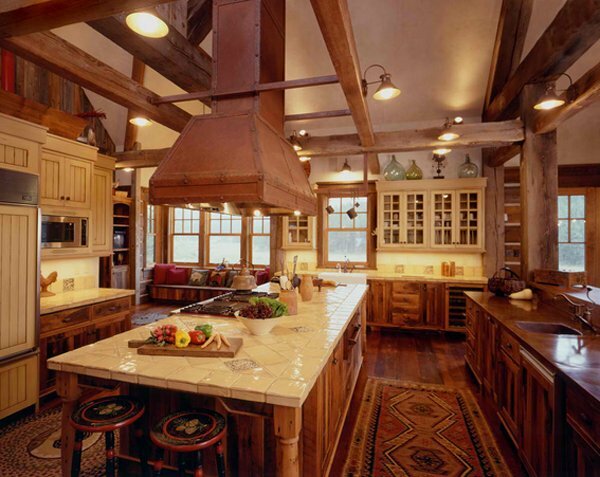 A handcrafted rusted metal stove hood was suspended from iron bars and timber framework in this western homestead ranch kitchen. 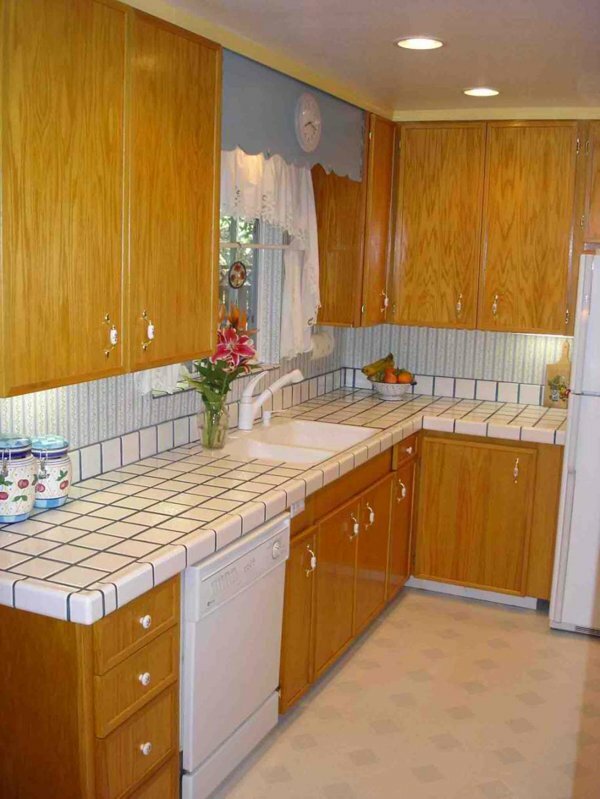 The paint on the upper cabinets is a 4 layer mix of coral, cream, butter yellow and glaze to make the cabinets look as if they had been there for ages. Nice use of tile on counter and side trim. 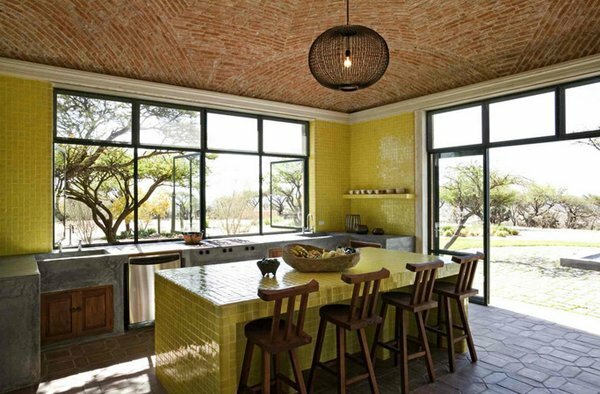 However, given the size of your counter I would use the “brick lay” tiling design over the straight linear lines – where all the tiles are in straight row. 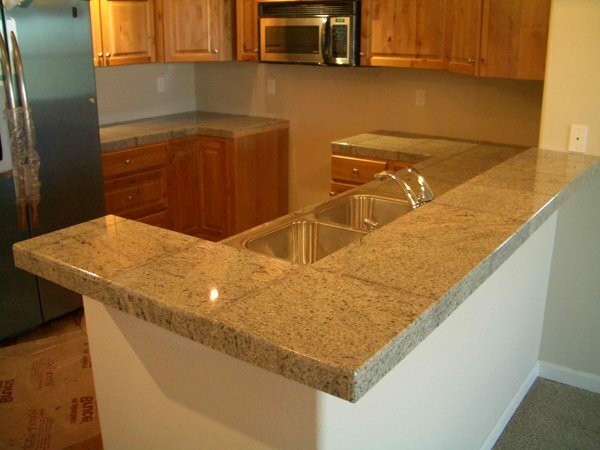 Granite tiles used in this counter is in grey and matches the stainless sink. The first I honestly noticed on this picture aside from the food on the counter is the details below it. Do you like it too? 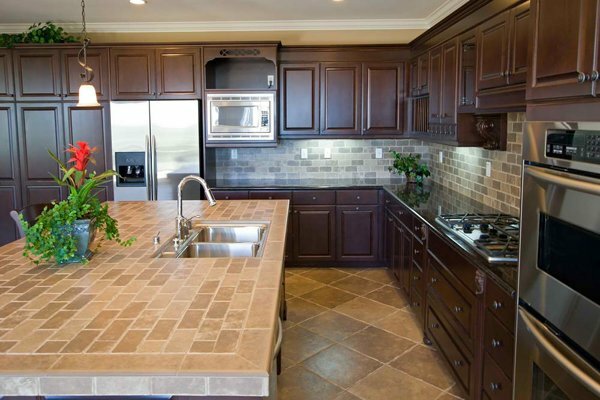 The color of this kitchen counter is really unique – I like the earthy feel it has to it! The difference in sizes in the counters is fun too! Pastel colors for the island in the kitchen! Amen! We love this! I love this list altogether! Tiles are often used to form wall and floor coverings, and can range from simple square tiles to complex mosaics. 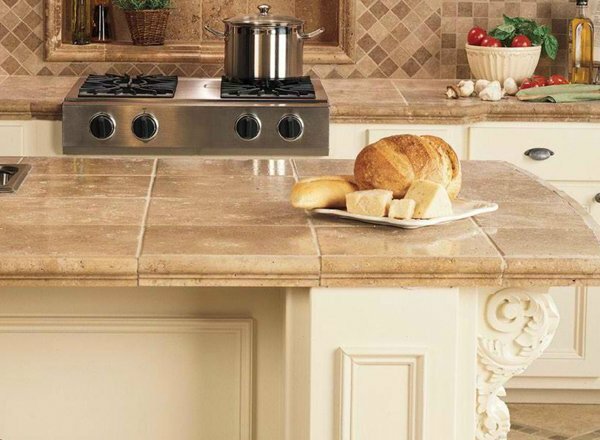 Tiles are most often made of ceramic, typically glazed for internal uses and unglazed for roofing, but other materials are also commonly used, such as glass, cork, concrete and other composite materials, and stone. The list is great and fun too!